While delivery drones may seem like a futuristic idea, many companies are looking to make this a reality sooner rather than later. Major companies like Amazon, UPS, Google, and DHL are already looking for ways to scrap trucks and shift towards drone deliveries. While this shift offers benefits like saving on fuel for companies and reducing delivery time for customers, there are pros and cons for the environment. Even though the electricity sector in the United States is moving towards utilizing cleaner power, transportation remains one of the largest sources of CO2 in country. Almost a quarter of transportation emissions come from delivery trucks. A new study reveals that, under the right circumstances, electric-powered delivery drones may offer a better alternative to diesel-powered trucks. 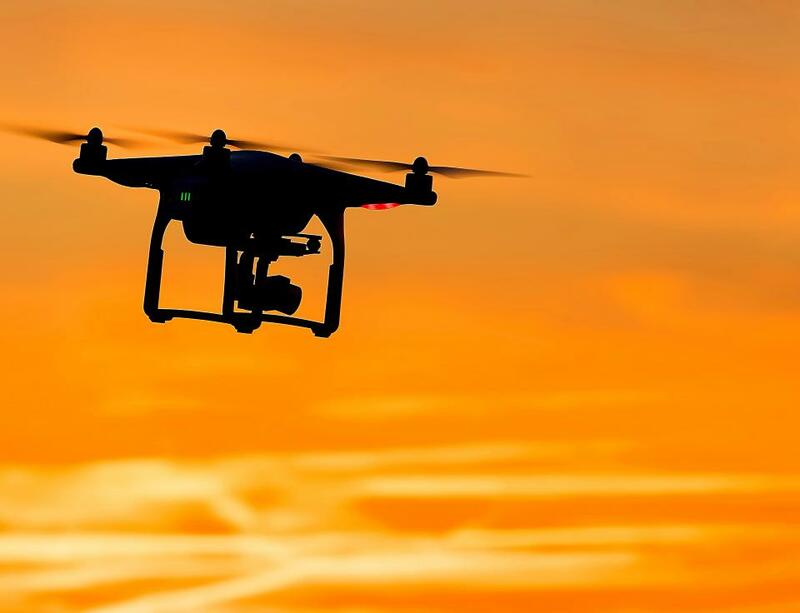 According to the study, which was published in Nature Communications, researchers at Lawrence Livermore National Laboratory and Carnegie Mellon University looked at several different variables to determine if drone deliveries were more eco-friendly than traditional fleet trucks. So which is better? Well, it depends. First, the location of the drone deployment can influence carbon emissions. The study found that different areas of the country have different levels of renewables energy to fuel the drones. For example, in California, a very “green” state, drones could deliver small packages weighing about a pound and produce 59 percent fewer carbon emissions. Meanwhile, in Missouri, a not so “green” state, delivery drones would only produce 17 percent fewer carbon emissions because the state derives more energy from fossil fuels. Another concern related to location is that drones have a limited range and would, therefore, require more warehouses with drone bases. Those warehouses would need energy to operate, so that extra energy counts against the drones. Flight path regulations could add to this issue because drones may have to take longer paths around certain areas and essentially need to fly farther. Despite these concerns, the study found that drones could still be environmentally friendlier than trucks if these warehouses were operated responsibly. The size of the package also matters. Researchers found that larger drones, which could carry around 17 pounds, started to lose points since they required more energy. Still, the smaller drones that could carry about a pound won all around. They even beat out electric trucks! This suggests that drones could be used for light packages, while heavier ones should be designated for ground transportation. While they may have their benefits, there are still many regulations delivery drones need to meet. For now, researchers in the study are leaning towards drones, explaining that, "Although drone-based package delivery faces many technological challenges, safety issues, regulatory concerns and system uncertainties, in this initial estimate we find significant promise in the use of drones to reduce energy use and greenhouse gas emissions in the freight sector compared with traditional pathways.” Either way, it's sure to be exciting.